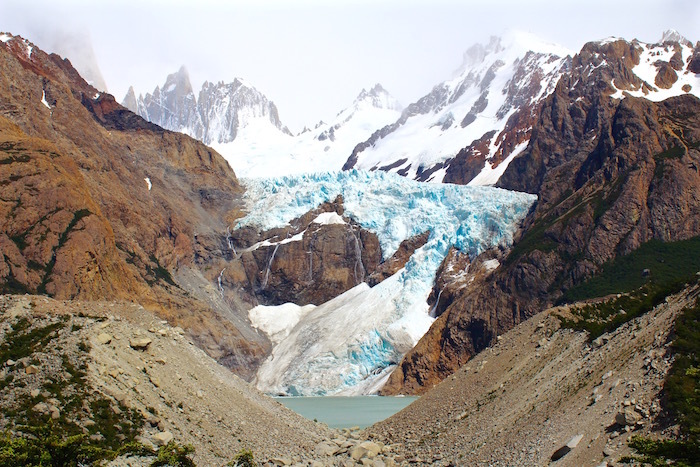 Have you ever looked at the logo for the Patagonia clothing company and wondered if it was inspired by an actual mountain range? Well, even if you haven’t, you’re about to learn a fun fact that it actually was! 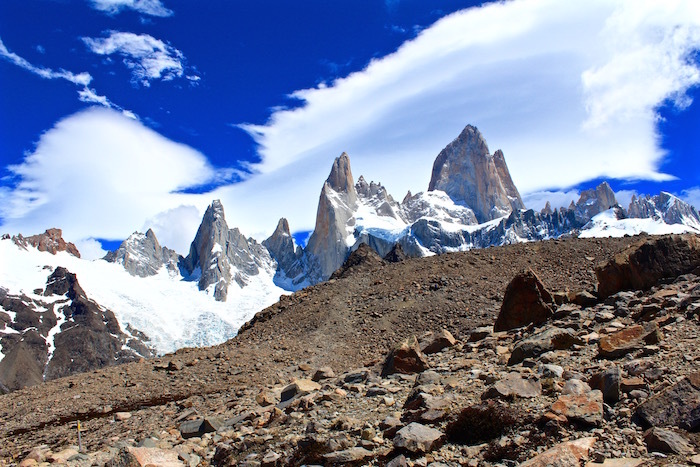 That’s right – in 1968 Yvon Chouinard climbed a mountain range in Argentina known as Fitz Roy which later became the inspiration for Patagonia’s logo when Yvon founded the company in 1973. 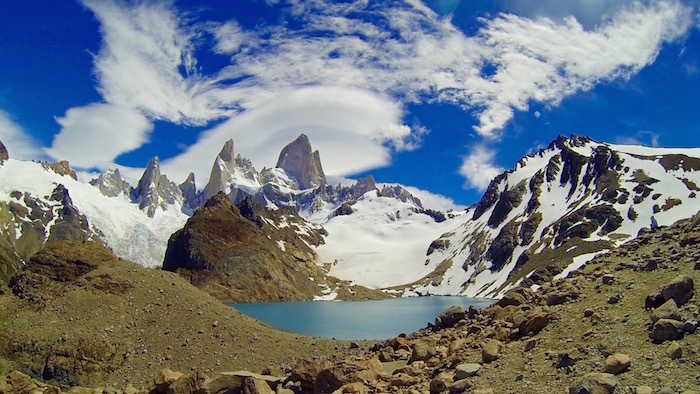 Having experienced Fitz Roy nearly 50 years after Yvon, I get it. 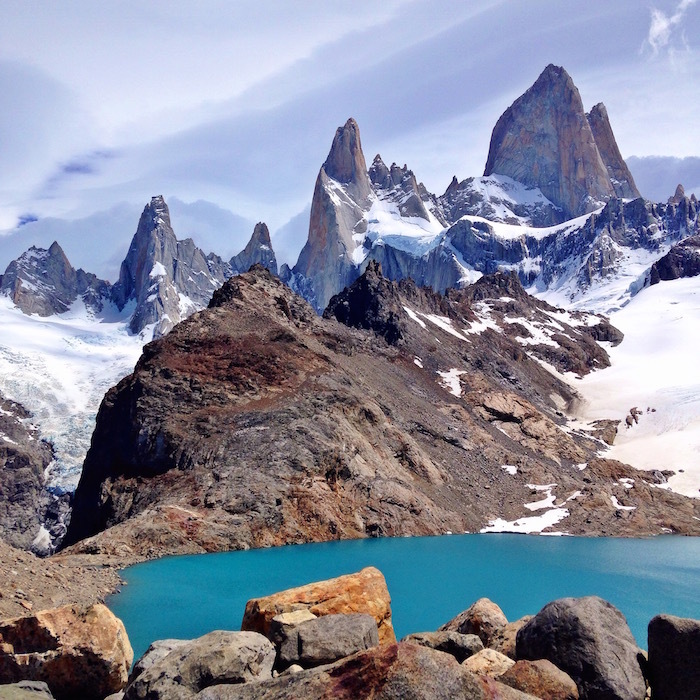 Fitz Roy is stunning, breathtaking and magical. 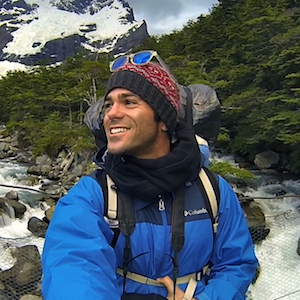 It’s a must-do adventure for anyone traveling to South America’s Patagonia region. 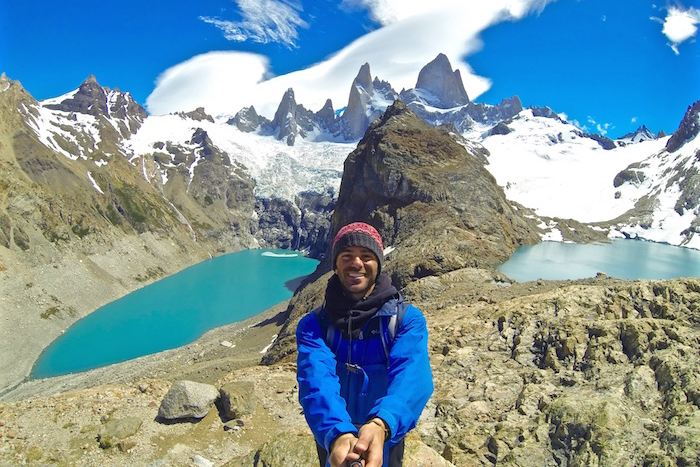 Two days before my El Chalten hiking adventure I had just completed a mentally and physically demanding 5-day trek through Torres Del Paine, Chile so I was excited that Fitz Roy could be done in one day. 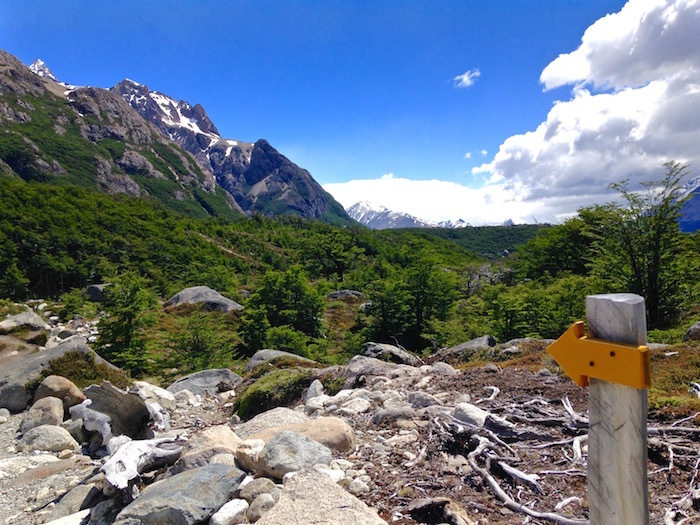 Even better, El Chalten is actually loaded with amazing day hikes throughout the northern region of Los Glaciares National Park and Fitz Roy is just one of them! 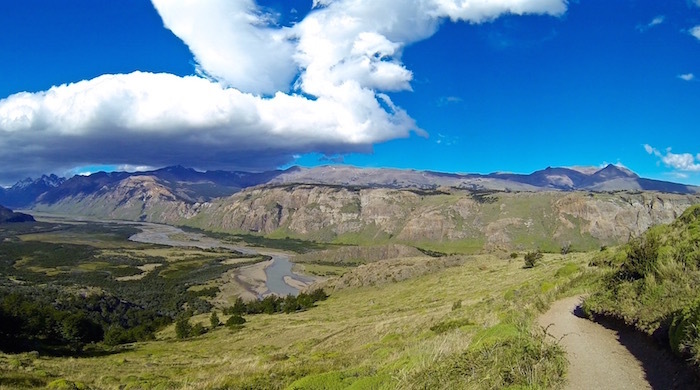 Camping is definitely an option, but I chose to spend my days on the trails and nights in an El Chalten hostel. 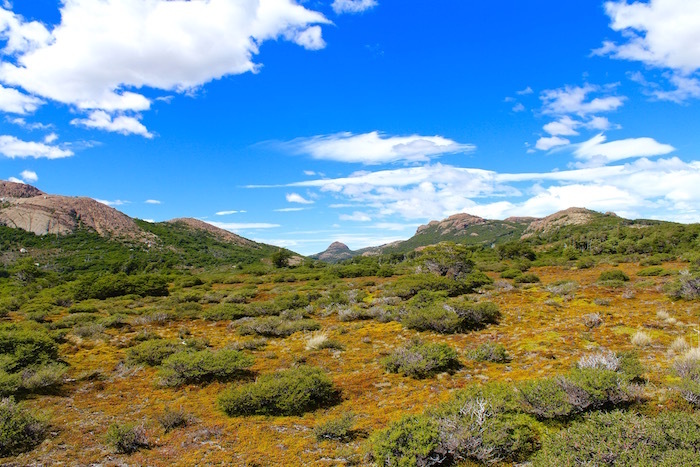 On the morning of my day hike to Fitz Roy I took a shuttle (that I booked through my hostel) to a starting point outside the town. 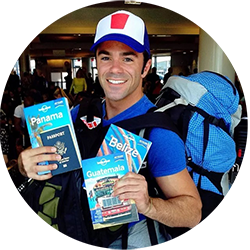 I did this so I could hike in and out on different trails to explore a wider scope of the region. Unfortunately the weather was terrible – cold, rainy and very windy. 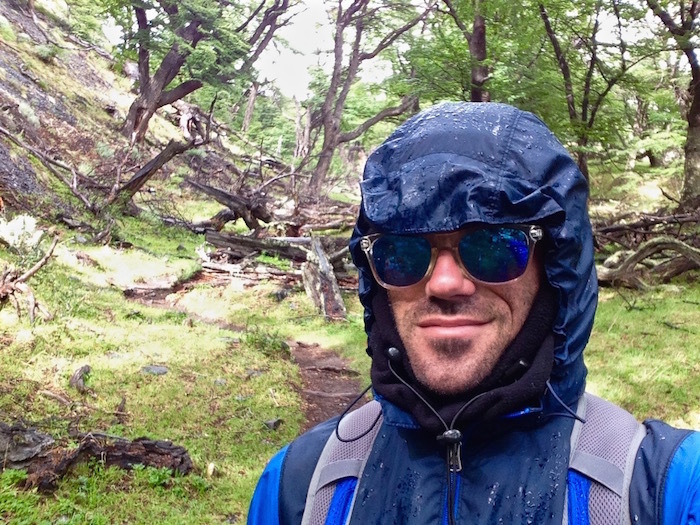 As I learned from Torres Del Paine, weather in Patagonia is extremely unpredictable so it’s important to be prepared for anything. Thankfully about an hour into my hike the the clouds broke and the sun started shining! 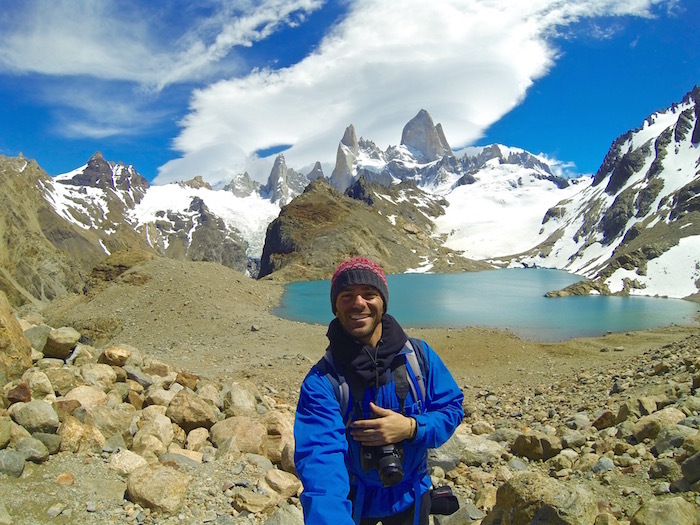 The change in weather was such a welcome relief and made my Fitz Roy trek a lot more enjoyable. 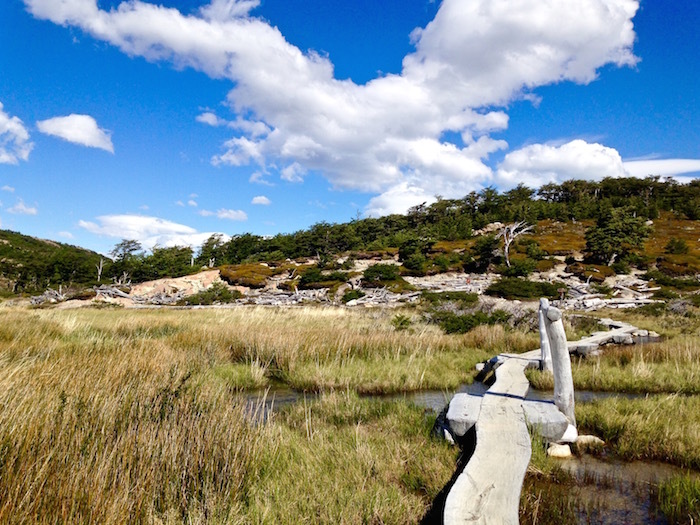 With every step I took, the surrounding scenery became more and more breathtaking. 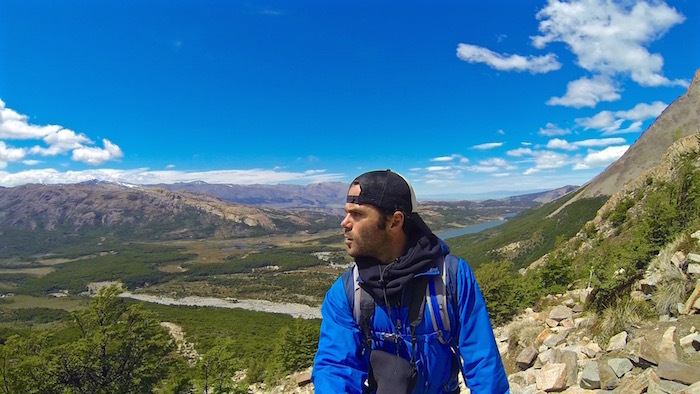 Around two hours in, I arrived at the bottom of the steep one hour incline hike to the base of Fitz Roy. 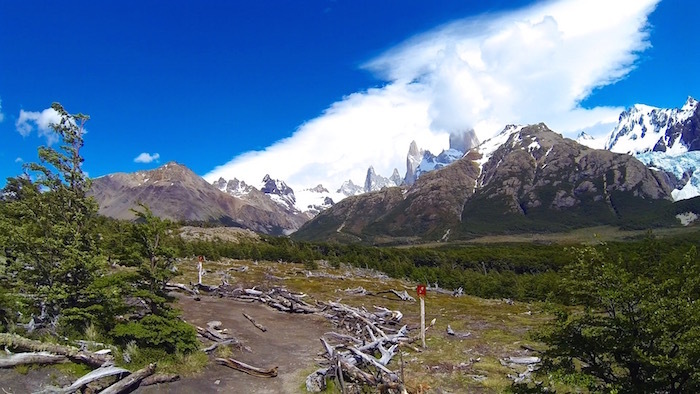 After about three hours of total hiking, I finally stood at the base of of Fitz Roy – I was completely blown away. 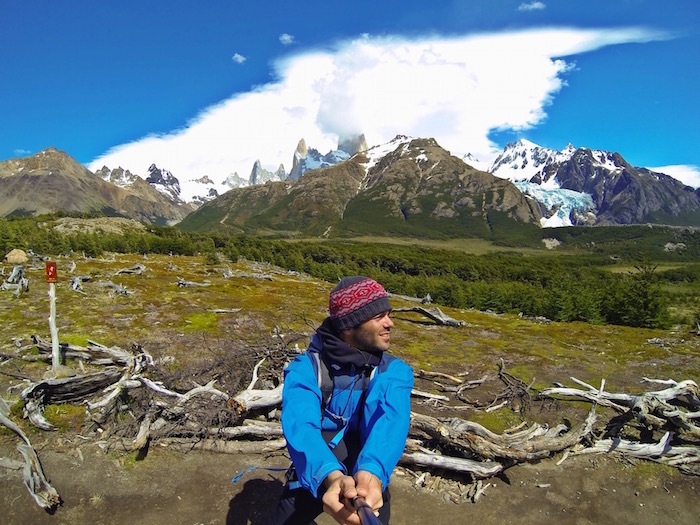 Staring at at such an iconic mountain range – the real life Patagonia logo – I was on top of the world! 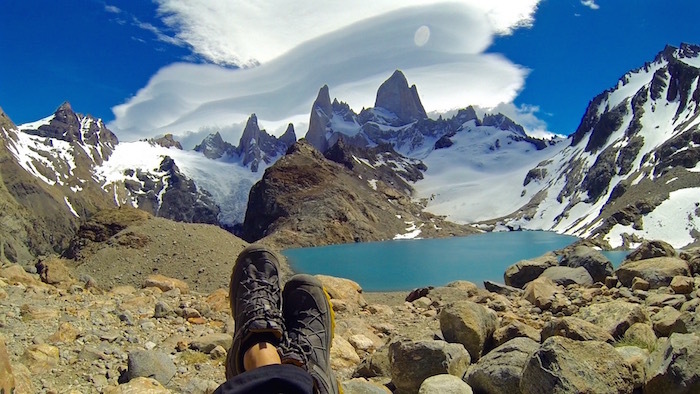 For hours I explored the base of Fitz Roy and just relaxed while taking in the majestic view. 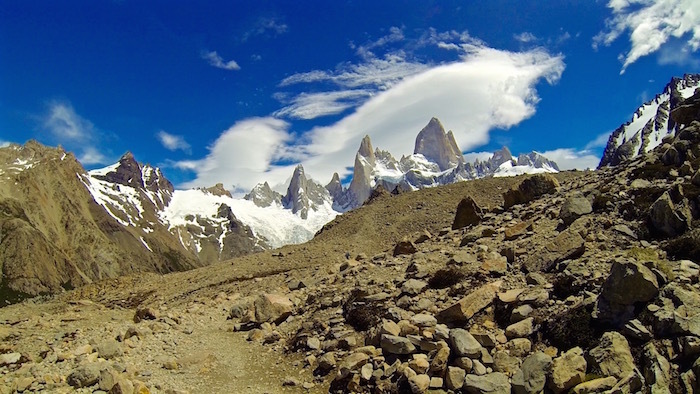 After forcing myself to leave Fitz Roy, the hike back down took about 30 minutes (instead of 60 on the way up). 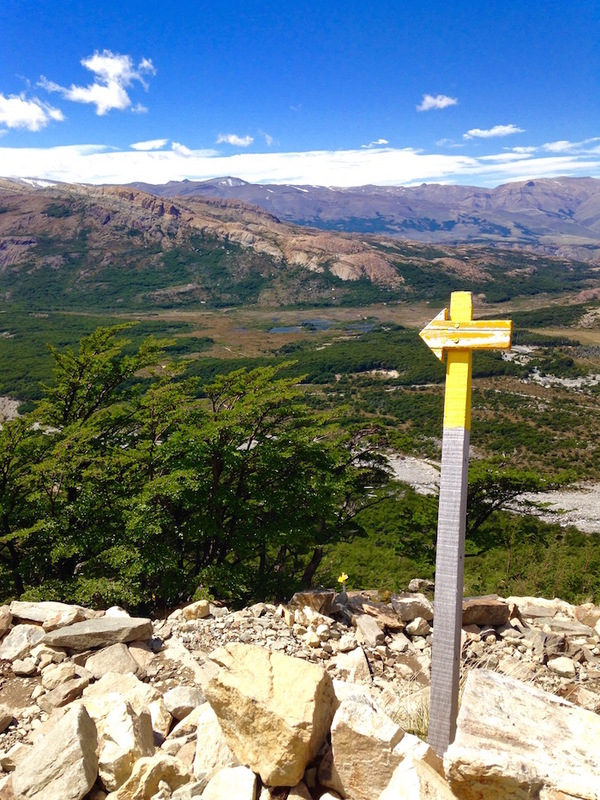 From that point forward it was about a two hour hike back to El Chalten. 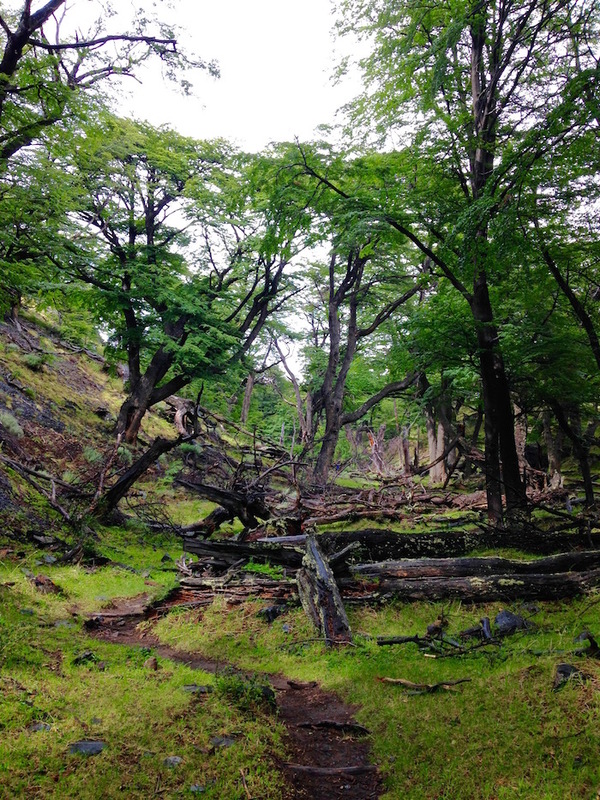 Since I had taken a shuttle to a starting point outside of the town, my hike back offered different views and landscapes. 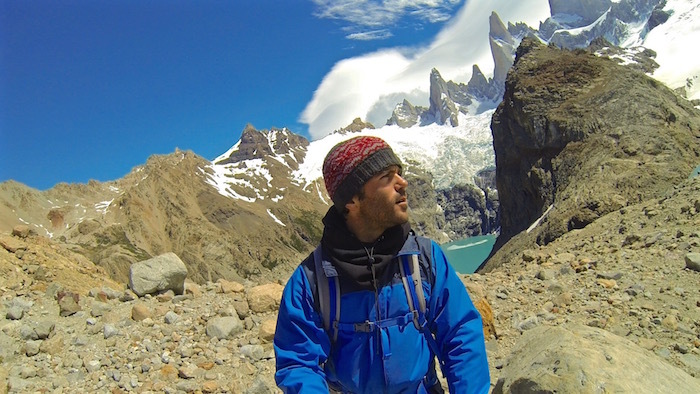 I highly recommend maximizing El Chalten hiking by going in and out of Fitz Roy on different trails. 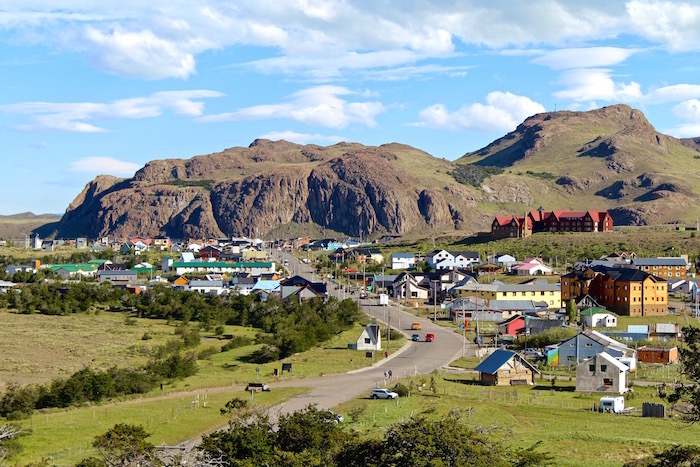 El Chalten has plenty of budget friendly lodging options. 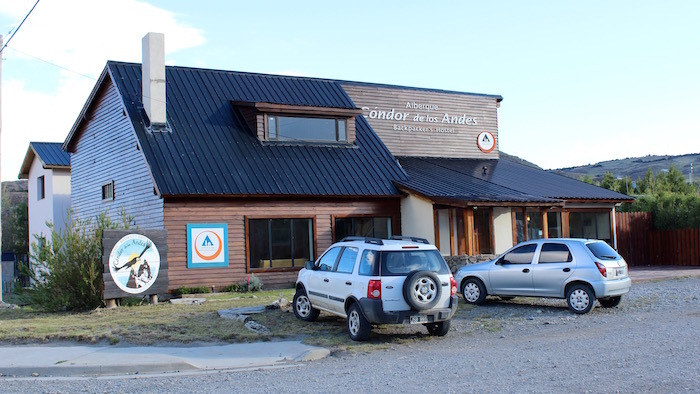 I stayed at Condor De Los Andes and definitely recommend it! 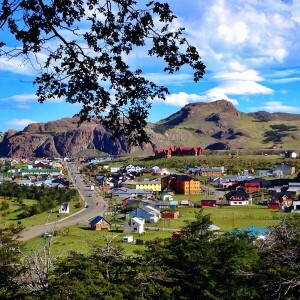 The hostel is located just a short walk from the bus station near the entrance of the town. 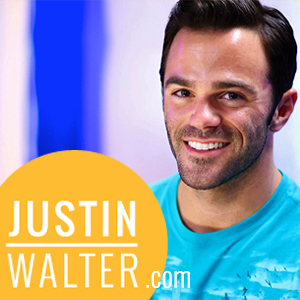 The staff was incredibly welcoming, friendly, resourceful and extremely helpful. I also met backpackers who I keep in touch with to this day. 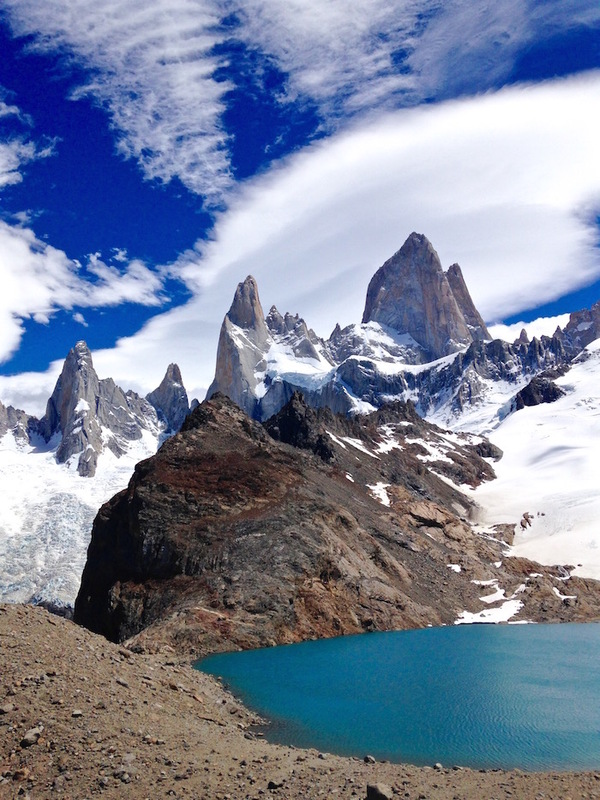 For travelers looking to experience the awe-inspiring, gorgeous and moving power of Patagonia in just one day, hike Fitz Roy. 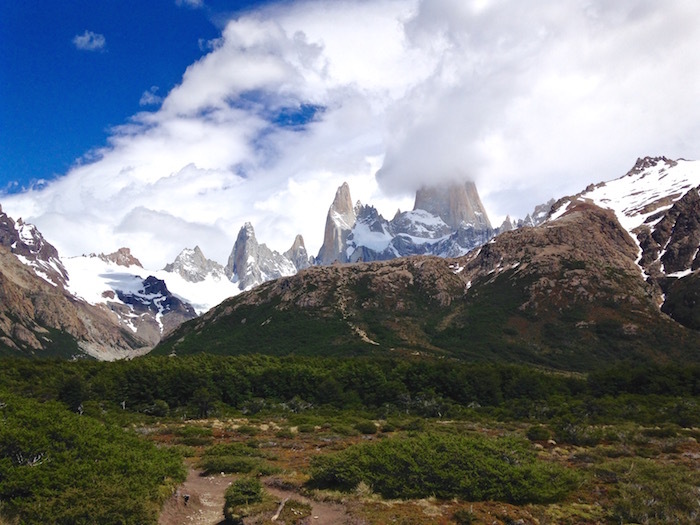 This El Chalten hiking adventure allows anyone to understand that Fitz Roy is more than just a picturesque mountain range symbolizing a clothing company, it’s an experience that embodies the beauty of the entire Patagonia region. 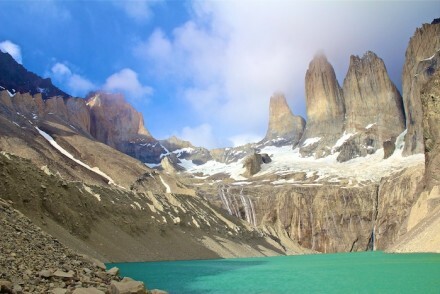 WE will be hiking the area in Nov. How you travel from TORRES DEL PAINE to El Calafate? 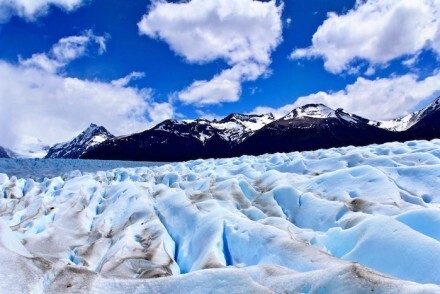 I traveled by bus between Torres Del Paine and El Calafate. It’s the easiest and most economical option.